Geneva, 13 November 2018—On the eve of the Board meeting of the Global Fund to Fight AIDS, Tuberculosis and Malaria, the international medical humanitarian organisation Médecins Sans Frontières (MSF) called on the Board to make urgent changes to Global Fund policies and practices for countries transitioning away from donor support, which increase the risk of critical drug stock-outs and alarming drug quality issues in many countries. People receiving treatment for tuberculosis (TB) and HIV in transitioning countries have faced dangerous treatment interruptions and have been treated with drugs of unknown quality. The countries are also faced with paying much higher prices for drugs than they should be paying. Over the last 16 years, the Global Fund’s central purchasing of HIV and TB treatment commodities has helped secure affordable prices through high-volume orders and attracting multiple competing suppliers. Crucially, the Global Fund has also been instrumental in ensuring people’s access to quality treatment by requiring all drugs purchased with its funding to have quality approval from either the WHO Prequalification of Medicines Programme or a stringent drug regulatory authority. 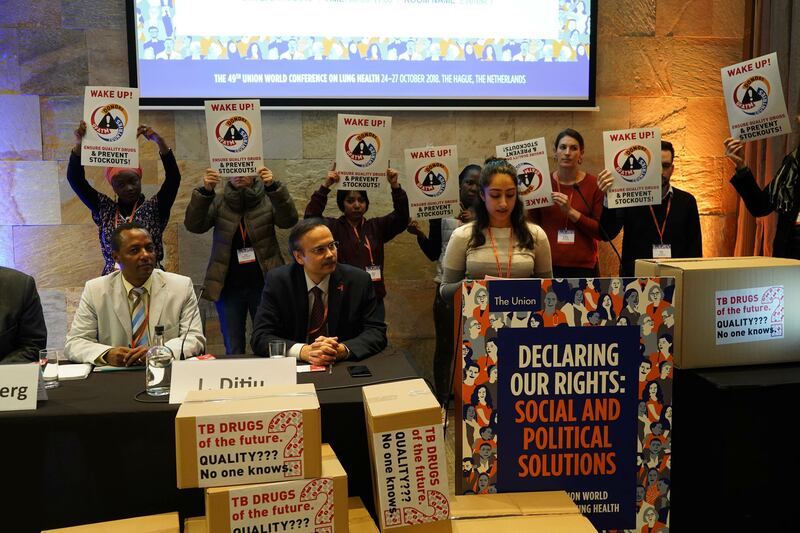 The Global Drug Facility (GDF), which helps countries procure TB drugs, has documented a number of problems related to the Global Fund’s policies. In the past eighteen months, 15 countries in Asia, Africa and the Eastern Europe and Central Asia region have experienced stock-outs of TB drugs. Additionally, 29 countries in these regions along with Latin America have purchased TB drugs of unknown quality, and 21 countries have purchased TB drugs and tests at prices that far exceed the lowest global prices they should be paying. In order to avoid drug stock-outs and quality issues, MSF called on the Global Fund Board and Secretariat to urgently carry out risk and readiness assessments for countries expected to increase their co-financing of medical commodities, as well as countries currently undergoing transition. Transitioning and co-financing countries should also be offered flexibility to continue accessing drugs through the GDF or pooled procurement mechanisms to obtain quality medicines at affordable prices.